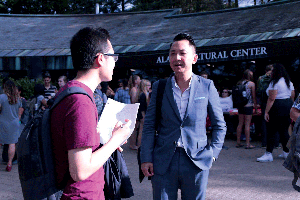 Bao Nguyen of Colgate Maroon-News reports on Viet Thanh Nguyen’s lecture about refugees during ALANApalooza, an annual cultural event at Colgate University. This year’s ALANApalooza was the perfect occasion to explore the Africana, Latin American, Asian American and Native American Cultural Center (ALANA). Faculty and students made their way to the ALANA patio to enjoy BBQ grills, raider passion ice cream, free t-shirts and conversation with organization representatives on September 13. Individuals at the Sisters of the Round Table booth warmly greeted guests while their representative explained the group’s mission to provide support for people of color. The Organization of Asian Sisters in Solidarity (OASIS), was also present. This year, OASIS was tasked with making Vietnamese food for the event, which included spring rolls and egg rolls. Kheytsun Rinchhen, OASIS’s Officer of Creative Outreach, was busy serving Vietnamese smoothies and milk tea to attendees. 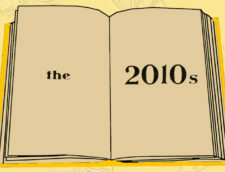 Other organizations included Africana Studies, Afro-Beat and the Africana Student and Black Student Union, which help unite students of color through a variety of events. At the same time, LAMBDA provided a space for LGBTQ students to share their experiences. Each table has a signup sheet for students interested in joining. 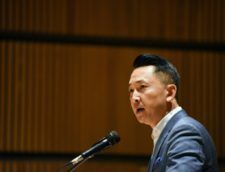 A special occurrence at this year’s ALANApalooza was the presence of award-winning author Viet Thanh Nguyen. 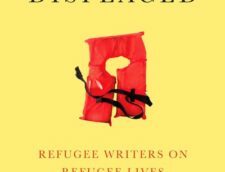 Earlier this year, first-year students read “The Refugees,” a collection of short stories about the experiences of refugees upon their arrival in America, and discussed it with other students in their first-year seminar. Later in the day, students congregated at Colgate Memorial Chapel to hear Nguyen talk about his experiences as a refugee and his visions for the future. Sophomore Jaritza Nunez, who has been working at ALANA Culture Center for two years, handed out newly-designed T-shirts to professors and students coming to the table. In addition to outreach events, Nunez invited people to come to dance workshops at Dana Art Center to connect with other people. This year, ALANApalooza successfully provided meaningful activities and engaging conversation for students. “I’m really impressed with the turnout of the event. For international students, this is a great chance for them to connect with other people from different cultural backgrounds and form a good support system,” Assistant Dean and Director of International Student Services Kerra Hunter said. Hopefully, the atmosphere of tolerance and acceptance will permeate campus and inspire everyone to be more empathetic towards each other this year.